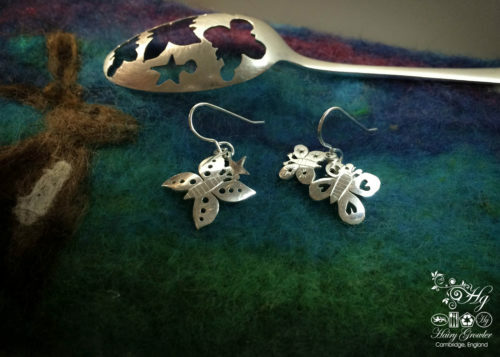 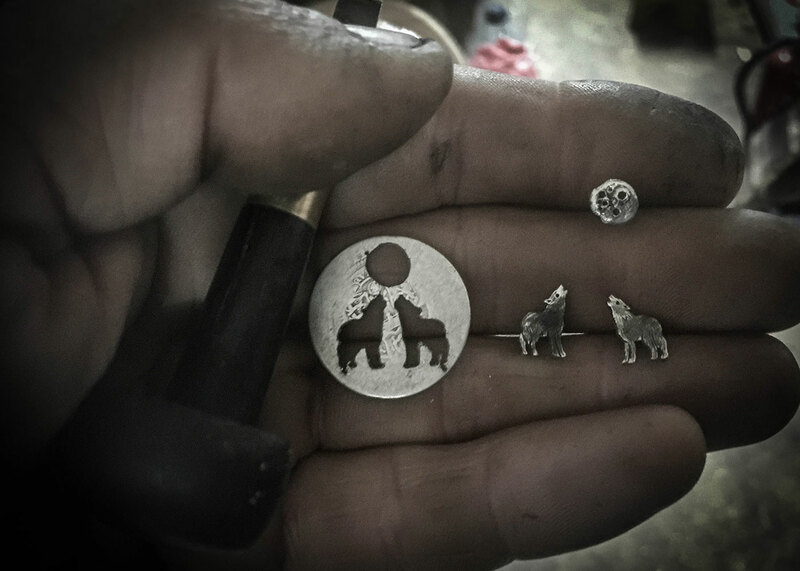 Wolf earrings – handmade and recycled sterling silver shilling coin. 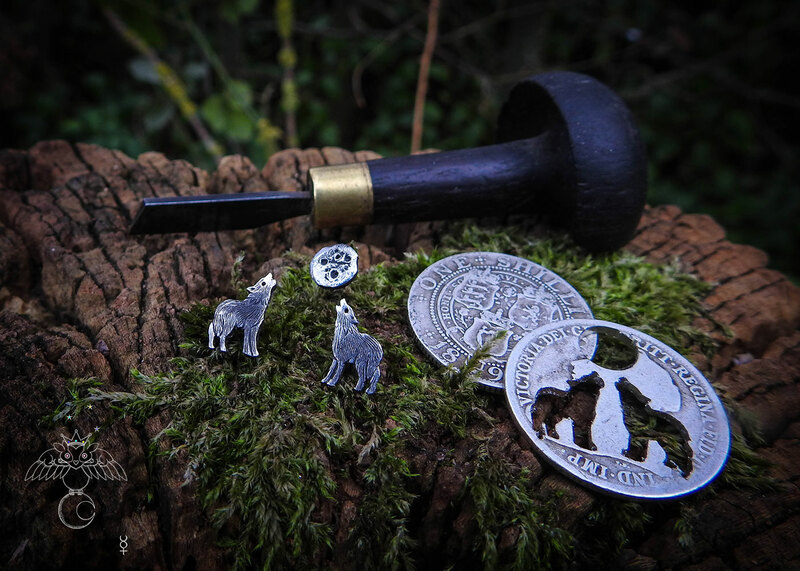 These very nice little howling wolves and full moon stud type fitting earrings have been recycled from an English sterling silver shilling coin. 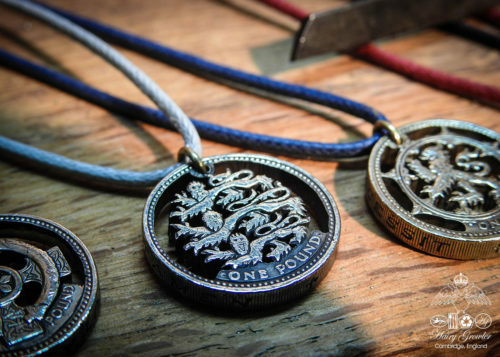 These coins are unwanted by coin collectors due to wear marks from being used to buy and sell over one hundred years ago. 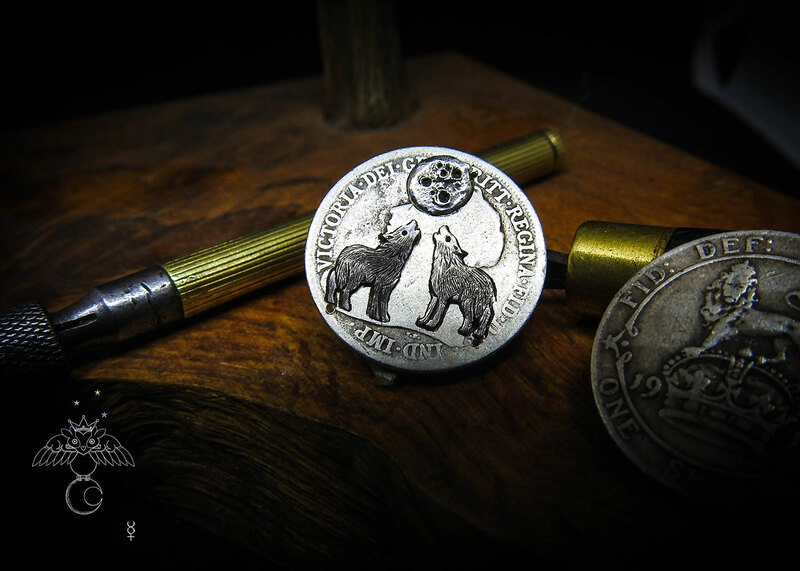 The pair of wolves and full moon have been individually hand cut, carved and engraved from the silver shilling with a traditional jewellers hand tools. 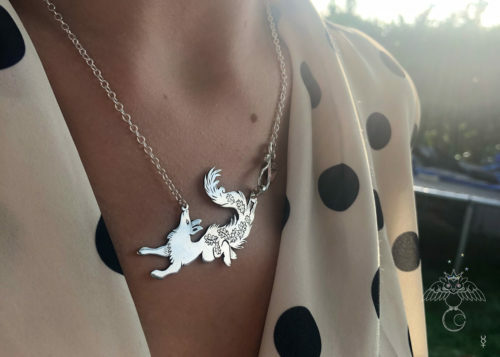 The unusual triplet of earrings allows you to wear a traditional pair of howling wolves or an individual, original asymmetrical variation of wolf and moon. 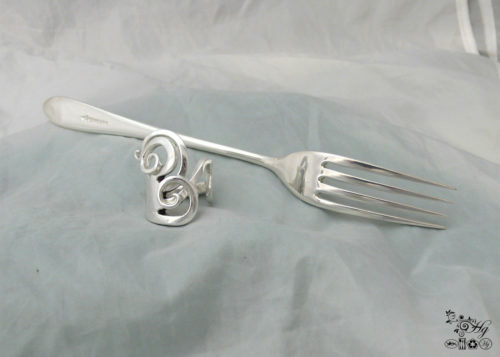 It also means you have a spare in case the worst occurs! 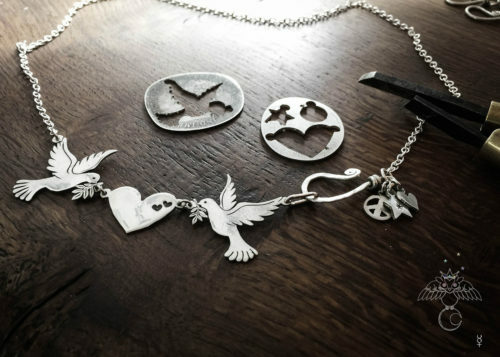 Each set is completely unique, contemporary, ethical and beautiful. 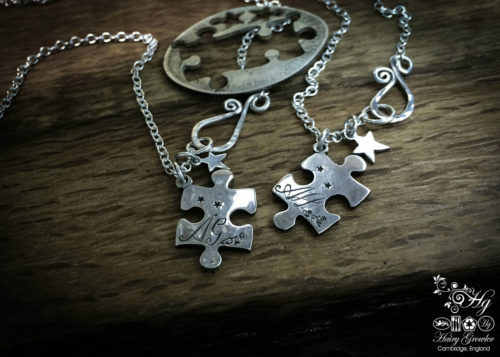 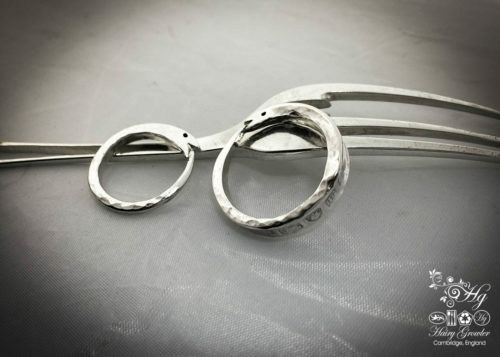 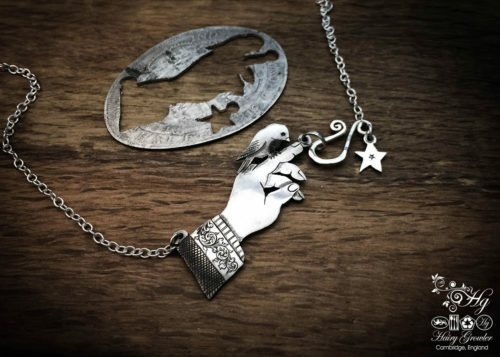 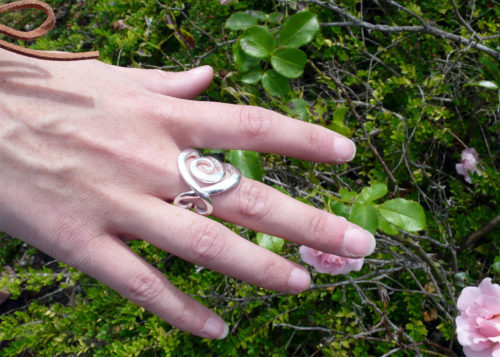 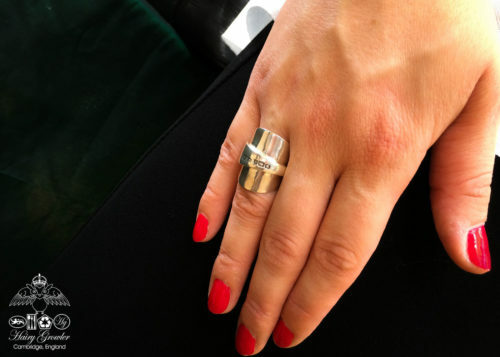 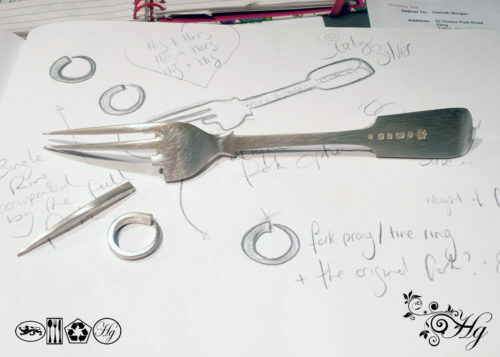 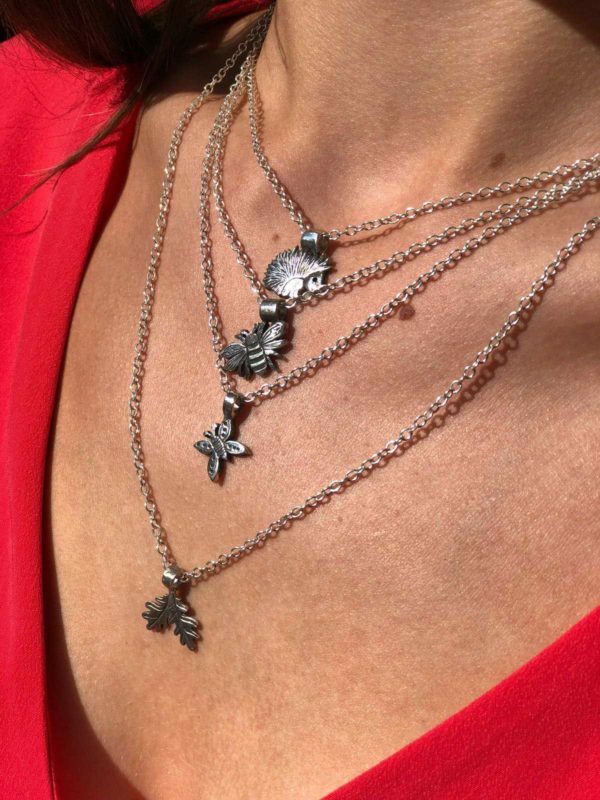 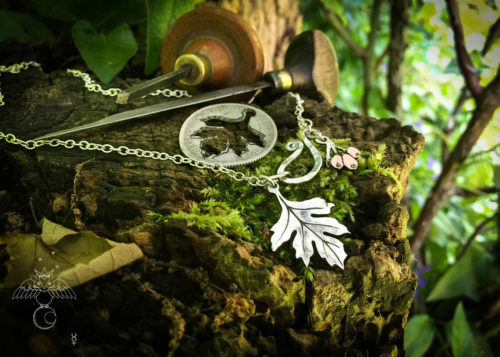 They are presented complete with a sterling silver ‘off-cut’ which beautifully demonstrate the origins of the wolves and connect them to their interesting, recycled material history.